2 hours | Mooring Puerto Banús. Visiting Marbella Coast, as far as Marbella Port, and coming back to Puerto Banús Port to finish our sailing experience. 4 hours | Mooring Puerto Banús. Visiting Nikki Beach, Marbella Coast, as far as Marbella Port, and coming back to Puerto Banús Port to finish our sailing experience. 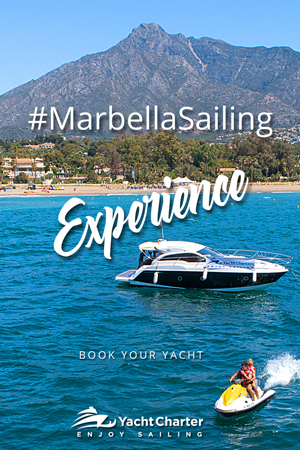 Enjoy four hours of sailing onboard a motor yacht from Marbella or Puerto Banus with our Marbella motor yacht experience package.